Video hosting platforms allow users to upload and store video files which can then be viewed by others. Video hosting sites typically offer viewer restriction options, so users can determine who does and does not have access to certain videos, as well as embedding features to integrate videos into websites, instructional videos, or presentations. Video hosting software may also enable tags and provide a search function to help visitors find specific videos. These products are often used by content, marketing, and culture teams within an organization to store video content and share it with coworkers or clients. Video Hosting reviews by real, verified users. Find unbiased ratings on user satisfaction, features, and price based on the most reviews available anywhere. Wistia is a leading video platform that makes it easy for businesses to create, host, manage, share, and measure videos.With intuitive and powerful products ranging from world-class video hosting to Soapbox—a simple video creation tool—Wistia reduces the barriers to better business communication. Over 300,000 businesses trust Wistia with their video needs. Try it for free. Cloud-based video messaging platform integrated with Gmail, Outlook, Salesforce, iMessage, and 50+ other integration partners. 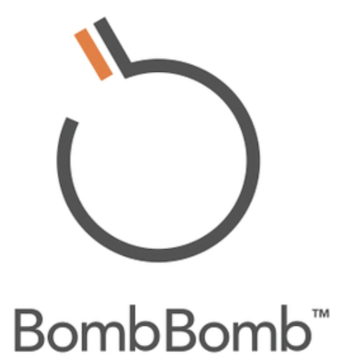 BombBomb makes it easy to leverage your best asset - YOURSELF - in your digital communications. Features include: webcam and/or screen recording, video upload portal, real-time tracking and analytics on all emails and videos, canned text and video responses, and a full sales and marketing automation platform that includes a WYSWYG drag-and-drop email composer, scored contact database, lead capture forms, video drip campaigns, custom landing pages, mobile app, and much more. The Vidyard video engagement platform helps marketing and sales teams get the most out of video content with the tools and data needed to create, distribute and measure the true impact of video. Trusted by 250+ exceptional customers across the world including Duke University, the University of Nebraska, Mortenson Construction, NBC, and General Electric, VidGrid is the fastest growing interactive video platform for business and higher education. VidGrid is the most simple yet robust video platform on the market, enabling video makers to record, edit, share, and host interactive videos within one app. Built on the newest technology stack, the VidGrid platform is miles ahead of legacy video services. What sets VidGrid apart from other video platforms? Intuitive for Non-Video Professionals: Empower every member of your organization to make professional-level videos, regardless of their video experience level. Interactive Video: Easily add in-video quizzing and live commenting to videos to transform passive viewers into active learners. Guest Record: Crowdsource content directly from your SMEs, students, or customers, with just the click of a button. Rapid Record: Record personalized videos at scale for sales prospects or members of your organization. Admin Control: Control LMS integrations, video analytics, user profiles and more within your VidGrid dashboard. Personal video platform. Integrate Bonjoro with your existing CRM workflows to send truly personal videos at just the right moments in your customers journey. What is Demo Automation? Any demo done right is more of a conversation than a broadcast. You discover what’s most important to your prospect and then conform your demo to those interests. Consensus demo automation involves creating an interactive video experience, where viewers select which topics are most and least important to them. Their choices create a custom timeline that prioritizes their interests and minimizes or eliminates topics that are less important, driving up relevance and engagement. Now suddenly a single demo can be shared to a broad range of prospects and stakeholders without requiring each one to sit through mountains of material they don’t actually care about. And that’s where the real magic happens. Every time your automated demo from Consensus gets shared, it illuminates another prospect or stakeholder and feeds rich data back to you; rich data such as contact information; real-time engagement metrics; key concerns; and more. Before you know it, the org is lit up from top to bottom and every light is sending you the inside info you need to close deals more effectively. You’ve revealed not only the buying group, but inroads into other departments and expansions. vooPlayer is a revolutionary all-in-one video hosting solution with advanced analytics and a suite of video marketing tools that helps you grow with video. All growing businesses run into the same video hosting problems. Distracting ads, unsecured videos, limited player customization, lack of important marketing features or expensive video hosting fees. The good news? vooPlayer solves them. Founded in 2017, Dubb is a video communication platform that offers business users a platform to send personalized, trackable videos. 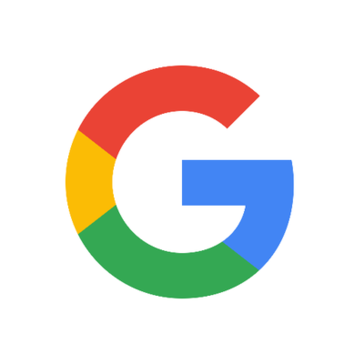 Based in Los Angeles, the company was founded by deep technologists with specialties in marketing automation, artificial intelligence, and machine learning. The Dubb platform features a mobile app, Outlook Add-In, website, Slack app, and Chrome Extension (with integrations to LinkedIn, Instagram, Gmail, and more). The company was built on the premise that everyone should have the ability to share intelligent, visually engaging content with others without the need for special tools or technical skills. The mission of the company is simple: to change the way people communicate in business using video. Dubb - Video Yourself. StreamGo is a leading provider of online events producing a range of webinars and webcasts across the UK, Europe and Worldwide. Our team have worked with a range of clients from leading financial institutions to FTSE 100, small advertising agencies to multi-national retailers. Our team have been working in digital communication for over a decade producing a range of corporate messaging for both internal and external audiences across a range of mediums – video, webinars, webcasts (live and pre-recorded) in a variety of styles – interviews, panel debates, conferences, and presentations. We bring with us this wealth of experience to help you deliver a slick, professional, polished online event whatever your requirement. We’re always happy to explore ideas and work with you to develop and produce a great piece of content and deliver that to your audience. We have an enterprise platform that powers your online event and a wealth of experience and advice on hand to guide you through every stage of the process. 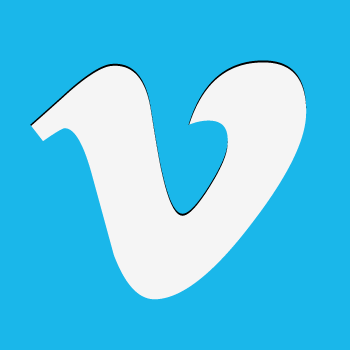 SproutVideo is the best video hosting platform for business. We make it easy to customize, publish, and track your videos online. With all the security, marketing, and analytical tools you need, your video projects will be a success. For video marketing, we offer lead capture, post play screens, video SEO tools, video landing pages and websites, and premium marketing platform integrations. We also offer advanced video privacy options, including password protection, viewer logins, single-sign-on, IP address restriction, geo restriction, and more. You can easily track and monitor your viewers using our video engagement metrics, and see how your videos are performing at a high level with our powerful analytics. If you need a website for sharing your content, we offer video websites with built-in SEO and beautiful, mobile-friendly themes to choose from. See all we have to offer with a free trial of our platform! DaCast is a simple yet flexible solution for how to stream live video on a website. The live stream hosting platform is designed with a streaming as a service approach. DaCast gives professional tools and utilities through cloud computing. It uses Akamai content delivery network to reach worldwide audiences. Tout is a video publishing platform that helps content companies, advertisers and publishers generate more online video revenue. Video player, transcoding, device detection, and delivery. Top quality playback anywhere in the world, on any device! Thousands of content owners and digital execs use vzaar to grow audiences, enjoy easy video management and save budget. Akamai's Adaptive Media Delivery is optimized for Adaptive Bitrate (ABR) streaming to provide a high-quality, secure viewing experience across the broad variety of network types, fixed or mobile, at varying connection speeds. Built on the Akamai Intelligent Platform, Adaptive Media Delivery provides superior scalability, reliability, availability, and reach. Akamai's Media Services Live focuses on bringing reliability and scale to live streaming. The new, liveOrigin capabilities are designed to operate in concert to support the same level of quality for live video streaming (live event and 24/7 live linear) expected of traditional broadcast television. Content providers can enjoy peace of mind knowing they can deliver high-quality streaming that pleases their viewers every time. The Media Services Live solution is fully compatible Akamai's Adaptive Media Delivery. Periscope Clone - LivePlus is periscope clone script to create a live streaming application with features like broadcasting, replays, map view, live comments, and rating. ShowMore is a FREE online platform that helps you record any screen activities displayed on PC. Slingbox is a TV streaming media device that encodes local video for transmission over the Internet to a remote device. StreamTube is a video CMS containing standard features of YouTube designed to enable users to launch their own video sharing website instantly. TVersity Media Server is a DLNA media server software designed for streaming video, audio and images to DLNA device. TwentyThree is a video marketing platform that empowers marketers to go beyond views and impressions, allowing companies to host, manage, optimize, and analyze their video campaigns; including integrating video data into existing tech stacks. Supported platforms: SmartGlass, Android, iPhone, iPad, Windows, Mac, Chrome Browser Blitzz is a video powered, enterprise field service platform that quickly becomes the smart, system of record for all collaborative events between field techs, HQ support and end users of physical equipment in the field. Collaborative events that Blitzz enables through its mobile, web and smart glasses technologies are messaging, live interactive video and AR. Each collaborative event reduces truck rolls, warranty costs and drives up productivity, efficiency and NPS scores. Machine learning from each collaborative event, together with data pulled in from field service management systems (FSMS) & CRMs that Blitzz integrates with, drives predictive support. This learning empowers the support and field techs to preempt getting stuck, be better prepared, and diagnose, install, troubleshoot, repair and provide exceptional interactive support, keeping customers happy while creating a fantastic ever growing library of easily accessible, tribal knowledge through every technician's phone/tablet, smart glass or desktop. Our integrations also help launch Blitzz from within your FSMS as well. While FSMS typically provide a web-first approach to scheduling, dispatching, invoicing and billing, we focus on the ever important but missing mobile first collaborative events to greatly augment such workflows. Castr is built on a powerful CDN that makes it possible for users to stream to viewers worldwide without issues. Whether it's audio or video content, Castr is the high-quality platform that gives control to the users and then gets out of the way. Cedato's player delivers the best viewing experience while monetizing for revenue gains beyond any other player in the world. It amps up the 'smartness' with advanced optimization, seamless back-end integration and feature-rich customization. CenturyLink® Broadcast Video Services deliver end-to-end digital video transmission from creation to consumption. Access our full portfolio of end-to-end video services ranging from over-the-top (OTT) video to full-time channel distribution, delivered to almost any device. "CenturyLink® Broadcast Video Services deliver end-to-end digital video transmission from creation to consumption. With a venue footprint connected to many of the top distribution platforms by our expansive global network, you can depend on one vendor to help your company increase efficiency and grow your bottom line. When it’s video, Vyvx it. Access our full portfolio of end-to-end video services ranging from over-the-top (OTT) video to full-time channel distribution, delivered to almost any device. • We Treat Your Content Right​ - Monitored and managed 24/7, our global network supports all major video broadcasting standards.​ • Customized Solutions Built for Success​ - We collaborate with you to create the ideal mix of fiber and satellite to support your specific digital video transmission requirements – all backed by round-the-clock customer service.​ • Take Control​ - Our online portal lets you easily provision, monitor and manage your services." Clipster is a industry leading solution for the creation of impressive and engaging online video experiences designed to deliver incredible marketing results. Clipstream provides video hosting with the strongest security available and detailed analytics. Video CMS is the online video content publishing tool for professional webmasters. Content Raven is a sales enablement platform that allows companies to train, onboard, and coach their team into shortening their sales cycle and closing more deals. CorporateTube offers video streaming solutions for businesses. Hi there! Can I help you find the best Video Hosting solutions?